It will take some time to organize and build out this section, but I can show you 14 of these guys that you will be able to own for under $5000. 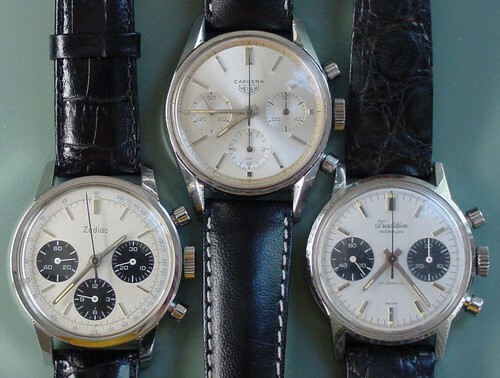 Thanks for the interest in these chronographs. They are a neat part of the Heuer story, and certainly make collecting the "Heuers" (or the made-by-Heuers) a shade more affordable.